In order to promote the international spread of shiatsu, a therapy developed in Japan, the Namikoshi Academy • Japan Shiatsu College sends instructors to Vancouver, Canada once a year to provide practical guidance. 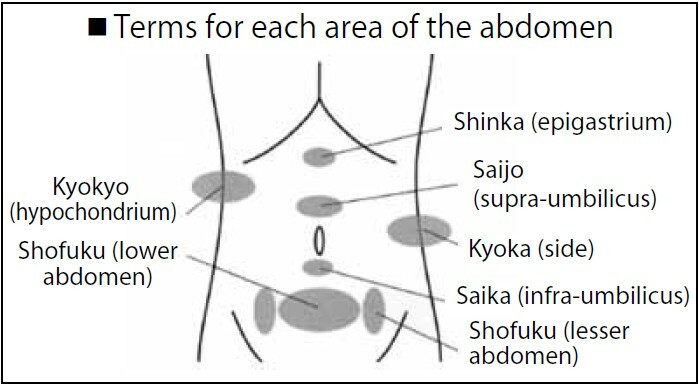 In 2015, Japan Shiatsu College instructor Michiko Kuroda delivered a presentation to instructors of the Canadian College of Shiatsu Therapy and therapists at the Japan Shiatsu Clinic on the theme of applied abdominal shiatsu. Below is the report submitted by Ms. Kuroda on her presentation. On September 26, 2015 I delivered a lecture to the staff of the Japan Shiatsu Clinic. At the Japan Shiatsu Clinic, operated by Japan Shiatsu College graduate Kiyoshi Ikenaga, many students of different nationalities engage in study of anatomy, physiology, and the fundamentals of Namikoshi shiatsu. Although I attended as an instructor, I myself learned much from the experience. Following is the content of the lecture I delivered. The abdomen is a region for which significant therapeutic effect can be expected from shiatsu, but which can be challenging to treat. 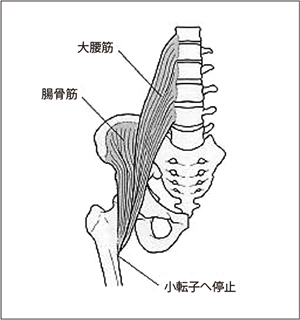 Here, using standard Namikoshi abdominal shiatsu as a base, I would like to examine the topic from the perspective of both Western and Eastern medicine, with the hope of encouraging you to more actively employ abdominal shiatsu in your treatments. Research by the Shiatsu Therapy Research Lab at the Namikoshi Institute has shown that abdominal shiatsu, a distinguishing characteristic of Namikoshi shiatsu, affects the autonomic nervous system to slow cardiac pulse, lower blood pressure, increase muscular blood flow, stimulate gastrointestinal peristalsis, and reduce pupil diameter, as well as having an effect on the musculoskeletal system (Fig. 1). In addition, the rectus abdominis and iliopsoas muscles can also be treated, making the abdominal region an extremely important area for treating lumbar pain. As mentioned previously, abdominal shiatsu can be highly effective for both regulating the autonomic nervous system and treating lumbar pain. 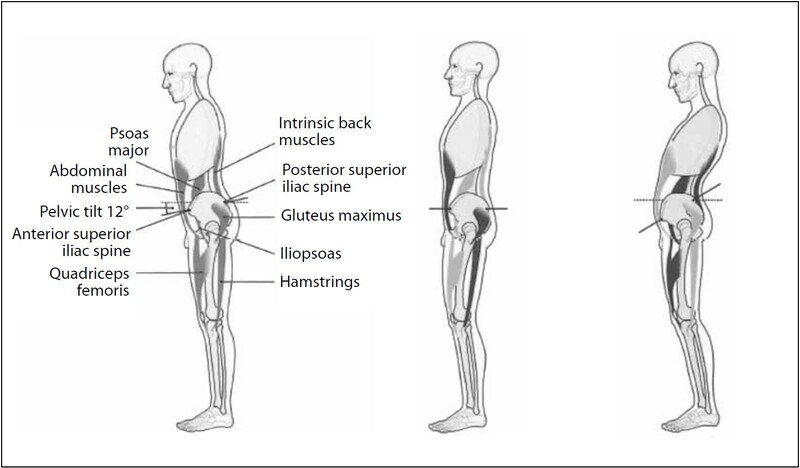 Now let’s examine the effect of tension in the abdominal muscles on posture. As shown in Fig. 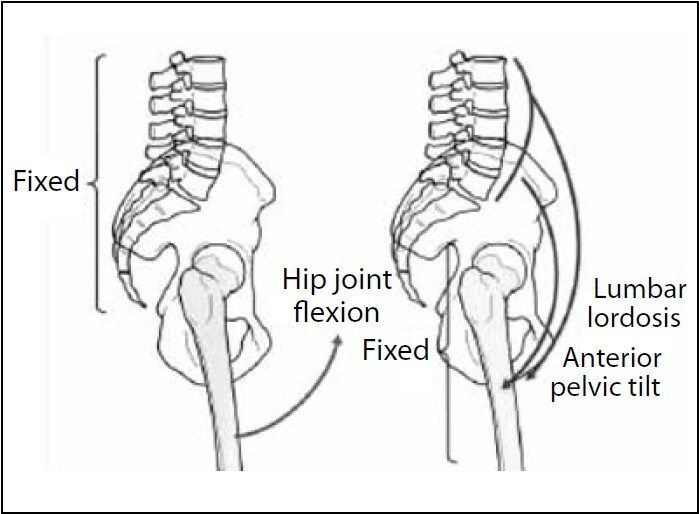 2, hypertonus in the rectus abdominis and iliopsoas has a significant effect on pelvic angle and lumbar spinal curvature. 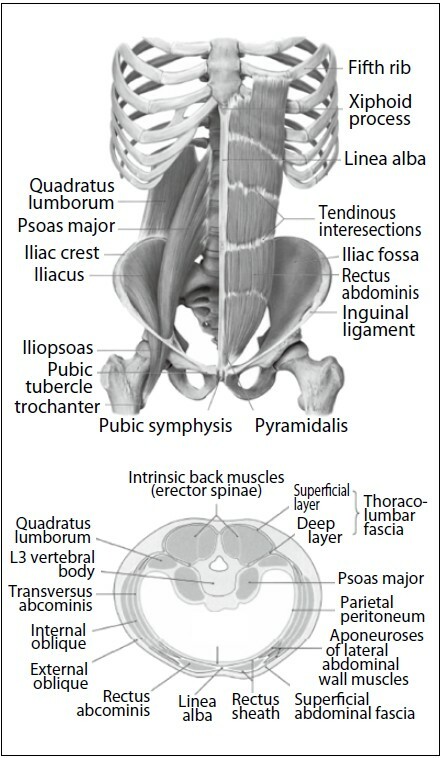 Next, I would like to consider how to approach the psoas major from the abdominal region. 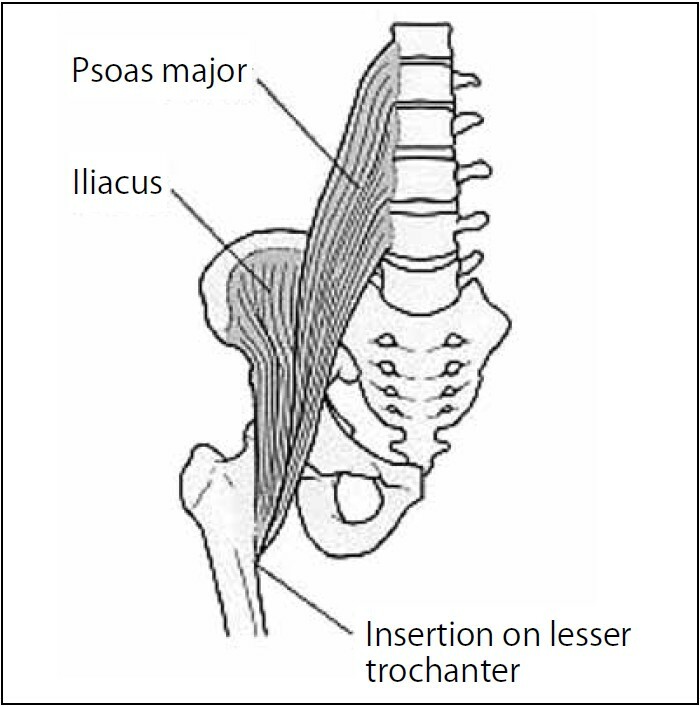 Whereas the rectus abdominis is a superficial muscle, the psoas major is deep. 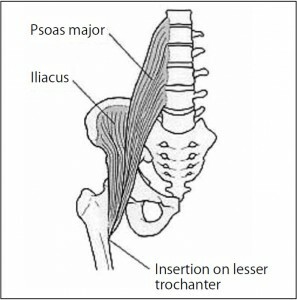 Therefore the key to treating the psoas major muscle is to have a clear image of its origin, insertion, and path. Abdominal diagnosis involves assessing the patient’s physical condition through palpation of the abdomen to detect stiffness or tension in the abdominal wall, resistance or pain when pressure is applied, watery sounds in the organs, and so on. 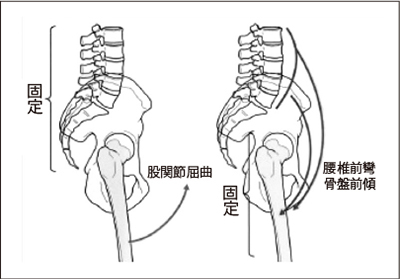 In Western medicine, the main objective of abdominal palpation is to determine the condition of the organs from outside the abdominal wall; but in Eastern medicine, abdominal diagnosis is used to determine the quantity of healthy ki, which provides resistance to disease, along with the qualities of ki, blood, and body fluids, based on tension, stiffness, and indurations in the abdominal skin and muscles. 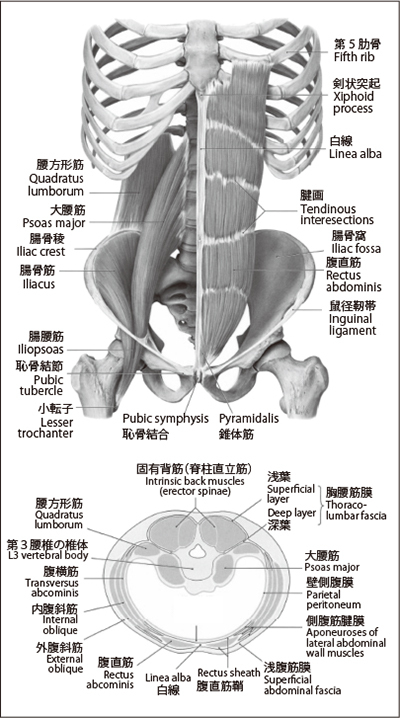 For this lecture, my motivation for addressing abdominal shiatsu was to focus on treatment of lumbar pain via shiatsu to the rectus abdominis and psoas major muscles and also to introduce abdominal diagnosis. Of course, when treating an actual patient, it is necessary to evaluate not just the abdominal region, but the quadriceps femoris, hamstrings, and other muscles as well, and conduct a thorough diagnosis that includes listening, observation, and interview techniques in addition to abdominal diagnosis. It is my hope that you will keep these techniques in mind as another perspective from which you can assess your patients and as a means of understanding their condition.